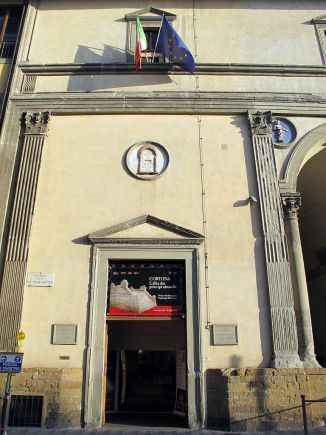 Florence’s Egyptian Museum is second only in Italy to the Egyptian Museum in Turin. Egyptian artefacts were already held in the 18th century in the Medici-Lorena collections, but during the 19th century these increased thanks to the efforts of the Grand Duke of Tuscany, Leopold II, who sponsored a scientific expedition to Egypt in 1828 and 1829. The expedition was led by Jean François Champollion, the hieroglyphics decipherer, and by Ippolito Rosellini, the father of Italian Egyptology; the material collected during the expedition was divided between the Louvre in Paris and Florence. In 1855 the Egyptian Museum in Florence was formally established. Ernesto Schiaparelli, its director, reorganised the collection in the 1880s. Currently the museum houses over 14,000 pieces ranging from prehistoric material to the Coptic period, with steles, statues and statuettes, coffins, textiles, furniture, vases and amulets.